Where Do You Find A Caregiver Assessment ? In general, research into caregiver assessment tells us that they should be tailored to the care giving context, service setting and the program. There is no single protocol for all caregiver assessments. The National Center on Care Giving at Family Caregiver Alliance has suggested that no one approach is optimal in all care settings and situations. I have devised a geriatric care manager caregiver assessment tool that you can be free to alter as you see fit. A geriatric care manager or aging professional can also use the Stress and Appraisal Coping Framework, suggested by Barbara and Carmen Morano in their excellent article on caregiver assessment in the GCM Journal , Winter/ Spring 2007, as another excellent caregiver assessment tool for family caregivers. All are good choices for care manager’s to begin assessing beleaguered and long neglected family caregivers. We are all gathered at the edge of this new world of assessing caregivers and can use thee resources as a starting place. 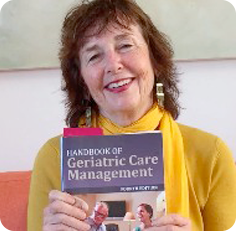 Paula Span who has written the New Old Age Blog in the New York Times for many years has great resources for older family members; geriatric care managers and aging professionals about seniors and family caregivers. Here is a that explains in painful detail that even when the care receiver dies the family caregiver suffers. Some have PTSD, as mentioned in Span’s article referring to an expert in this at Stanford. I cared for my Dad for 20 years. He had PTSD from being in a German prisoner of war camp. I still have PTSD from the memory of him dying in the emergency room. It can happen to all family caregivers. Caregiver Assessment- Can it Prevent Caregiver Burnout? Family caregivers are so many times in a complete state of caregiver burnout. From a policy perspective, the federal government and the long-term care system in the United State cannot afford to neglect the burnout and strain of millions of Americans caregivers any longer. Despite the rewards caregivers get from giving care we know from years of research that being a family caregiver results brutal losses. These degradations and deficits include role conflict and overload from the never-ending tasks demanded of a caregiver. Left in a permanent state of worry and anxiety much of the time, caregivers are working in a deteriorating and unpredictable situation. Caregivers can feel entrapped by there the restrictions on their own life. They are often beset by fiscal worries because they are not paid except in some states, like California under Medicaid. Yet the care-giving situation explodes in cost through medical bills, medical equipment and informal care that must be brought in, if the family can afford it. Family caregivers face a quagmire of legal problems including untangling wills, trusts, and inheritance issues which generally complicate care both emotional and physically. Many times these family caregivers compound their fiscal woes by having to quit their job, running the risk of being hired again, if they can eventually return to work. The caregivers own physical and mental health is often ravaged. They have to do medical tasks that years ago family caregivers never had to do. If they were paid by an agency, this would be a workman’s compensation nightmare for the company, yet these family caregiver’s are never even paid. So it is time that geriatric care managers and other professionals in aging started to respond to this family caregiver nightmare and use a caregiver assessment every time they assess an older client tended by a family caregiver.